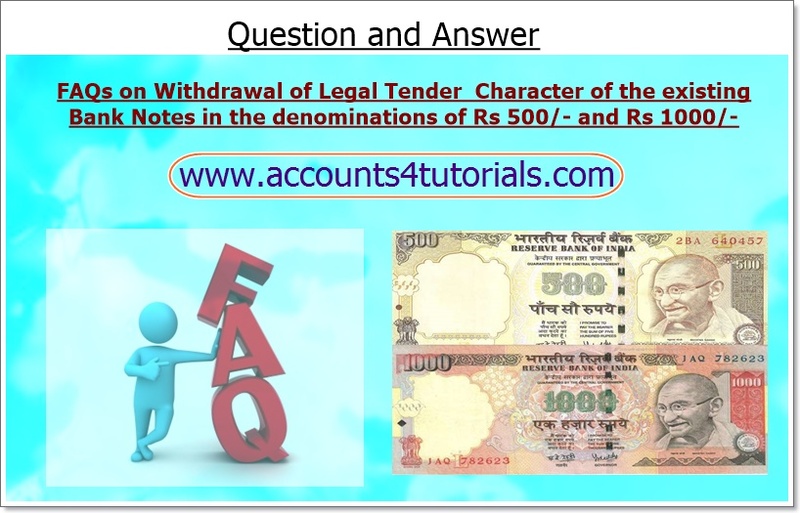 The legal tender character of the existing bank notes in denominations of ₹500 and ₹1000 issued by the Reserve bank of India till November 8, 2016 (hereinafter referred to as Specified Bank Notes) stands withdrawn. In consequence thereof these Bank Notes cannot be used for transacting business and/or store of value for future usage. These Bank Notes can be exchanged for value at any of the 19 offices of the Reserve Bank of India or at any of the bank branches or at any Head Post Office or Sub-Post Office. Yes, you can withdraw cash against withdrawal slip or cheque subject to ceiling of ₹10,000/- in a day within an overall limit of ₹20,000/- in a week (including withdrawals from ATMs) upto 24th November 2016, after which these limits shall be reviewed. 17. Can I deposit Specified Bank Notes through ATMs, Cash Deposit Machine or cash Recycler?